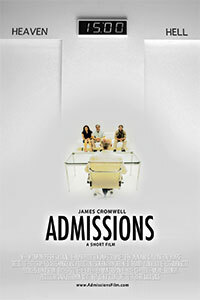 Admissions is a short film starring Academy Award nominee James Cromwell that tells a transformational tale about what it takes to find lasting peace. Featuring an Israeli couple and a Palestinian, this modern parable is set in the Admissions Room for the afterlife. Its purpose is to start a conversation that heals.